“If I don’t eat something I’m literally going to die,” says your friend. Of course, even if you’re really hungry, in the vast majority of situations you are not literally going to die if you miss a meal (unless you’re diabetic with dangerously low blood sugar). In fact, more and more of us carry around quite a lot of extra energy around our bellies. A spare tire of fuel, if you will. But there is an animal that would die if it wasn’t constantly eating. Hummingbirds are fascinating creatures. Found in the americas, they are some of the smallest birds in existence, measuring just 7 to 13 cm in length. A species of hummingbird, the bee hummingbird, measures just 5 cm in length. 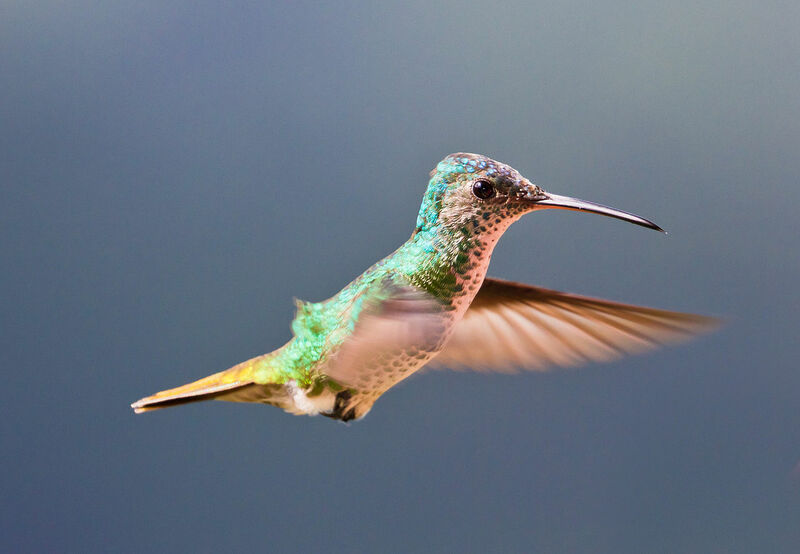 Hummingbirds get their name from the humming sound they make as they fly. To stay up in the air they flap their wings at ridiculous rates: between 50 and 200 times per second. Per second! Hummingbirds feed on nectar and they do so while hovering. And it is because they have to hover to feed that they flap their wings so quickly. To be able to flap their wings so ridiculously quickly, hummingbirds have a ridiculously quick metabolism and heartbeat. In fact, theirs is the quickest metabolism out of all homeotherms (warm-blooded animals). The heartbeat of a hummingbird can reach over 1200 beats a minute! (In comparison, human heartbeats usually range between 60 and 100 beats per minute). 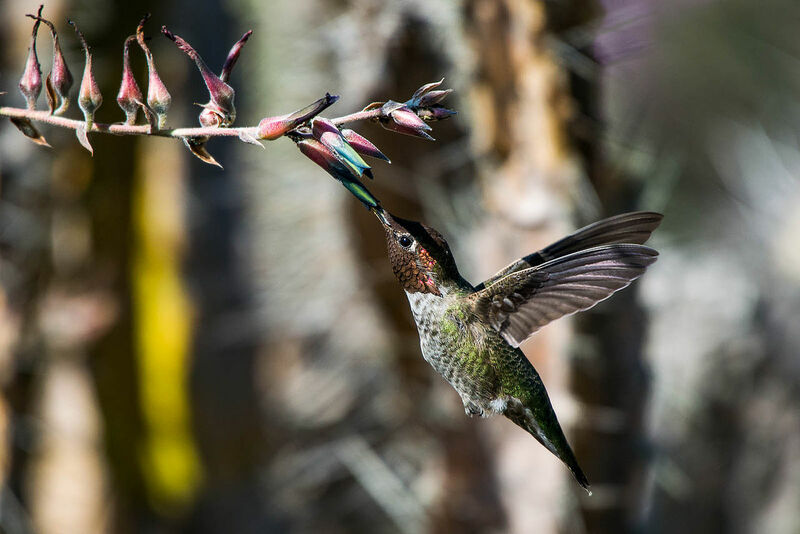 To maintain such a high metabolism hummingbirds have to eat as much, if not two or three times, of their own body weight in nectar every day (and visit hundreds and hundreds of flowers to get it). To compare, if the average 70 kg human ate half of its body weight of sugar it would be like eating 140 thousand calories a day: about 280 Big Macs or 19.5 kilograms of butter. Hummingbirds also incredibly efficient at using the sugar present in the nectar. They can make use of sugar merely minutes after ingesting nectar and they can also use only sugars to power their metabolism. Their quick and efficient use of sugar allows them to keep the little fat they have stored to survive the night, when they sleep. However, if hummingbirds kept their metabolism at the same rate during the night, they would run out of reserve energy very quickly and starve to death. To survive the night they go in a semi-hibernation state called torpor. Their metabolism drops to as much as one fifteenth of their normal rate. By quickly contracting and relaxing their muscles (shivering) hummingbirds can drop their body temperature to that of its surrounding. In the morning, when they wake up, they shiver again to regain high body temperature. So, next time your friend tells you to hurry up because he’s starving, he’s probably not, unless he actually is a hummingbird. And I don’t really know how and why you have a talking hummingbird as a friend, that’s just weird.